This image of ULAS J1120+0641, a very distant quasar powered by a black hole with a mass two billion times that of the Sun, was created from images taken from surveys made by both the Sloan Digital Sky Survey and the UKIRT Infrared Deep Sky Survey. 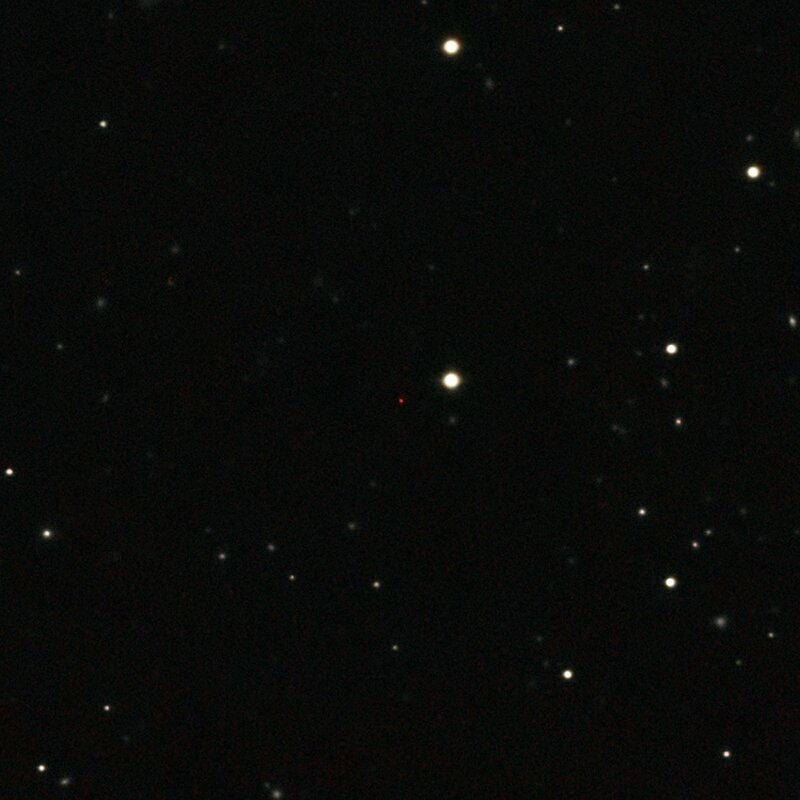 The quasar appears as a faint red dot close to the centre. This quasar is the most distant yet found and is seen as it was just 770 million years after the Big Bang.